Welcome to my online studio! Nicoleta's Creations showcases jewelry sets and other polymer clay objects created since Sept 2009, while experimenting with various polymer clay techniques. 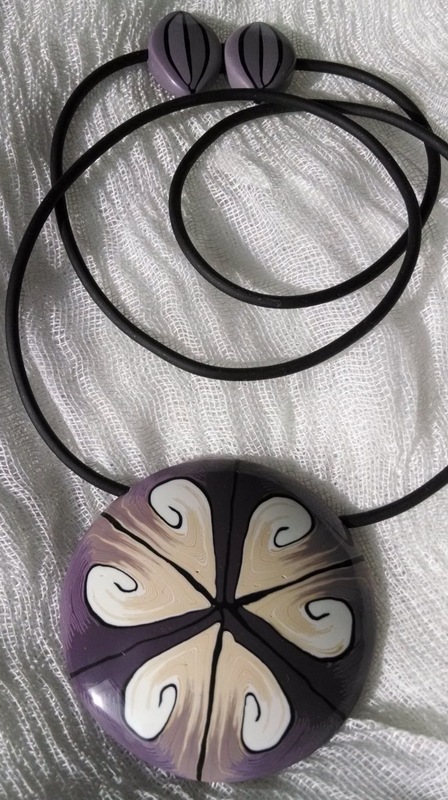 On Lica's Creations page, you can glimpse at some of the objects and jewelry sets created by my sister. 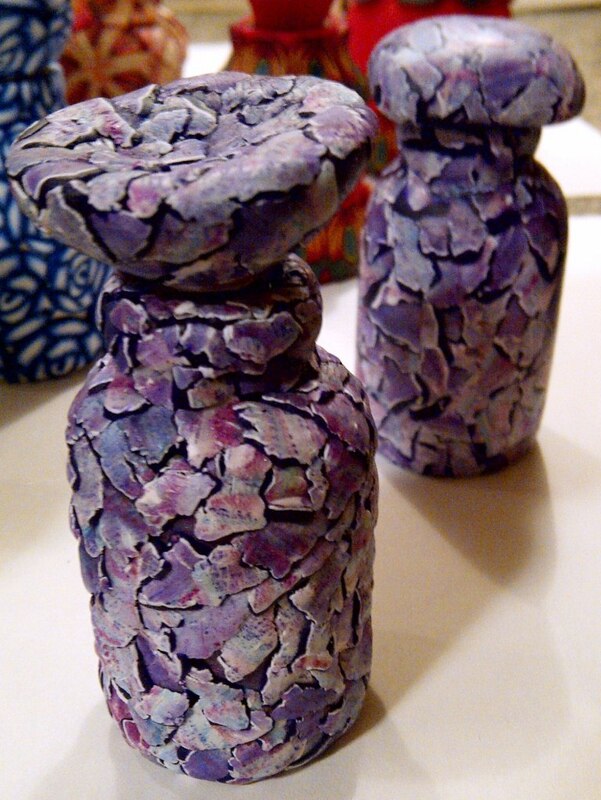 The Techniques page illustrates several traditional techniques I have learned from other polymer clay artists, as well as a few ideas of my own. Artistic Events & Shows is a gallery of my entries in the art events organized by the Polymer Clay Guild of Minnesota since April 2010. Very soon, this collection of photographs will include artwork of other guild members as well. The Links page will direct you to a few of my favorite polymer clay artists' websites, as well as to several excellent sources of information on polymer clay. Copyright 2018 Essays in Polymer Clay. All rights reserved.